What do you do when there’s a pound of ground pork staring at you in the fridge and you have no idea what to make for dinner? Rummage through the pantry until your get some inspiration! 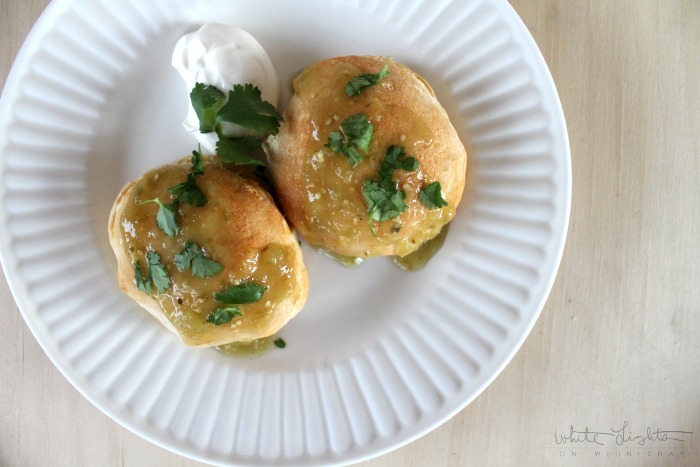 There Salsa Verde Pork Pockets were born out of a need to make something new for dinner and grabbing whatever was on hand. But you know what? They’re kind of awesome. 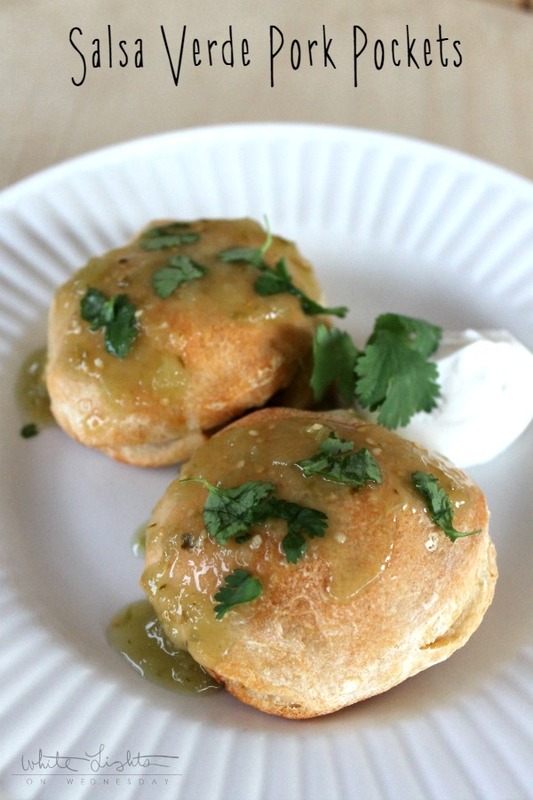 Warm biscuits filled with spiced pork and creamy green sauce that you dip in salsa verde. SO good kids! Mike was a little hesitant, but he jumped on board in a hurry after the first bite. Score one for me! Thank you for the nice and different recipe. Have a great day!